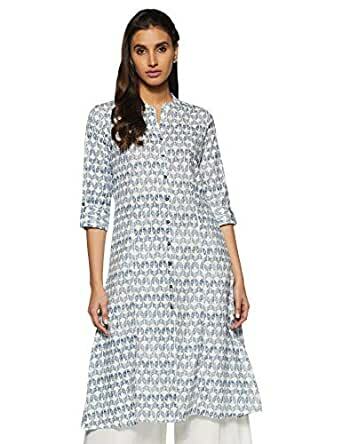 Indigo coloured kurta for women, made from cotton flex featuring Plain pattern, high neck, 3/4th sleeve with a regular fit perfect for casual occasion. Very good material. 100% satisfied with quality.